Wondering how to navigate the technology related to your job search and hiring? Our Director of Corporate Services, Janell O’Brien shared some insights with The Morning Call. For better or for worse, technology has changed the recruitment and job search process, for both those seeking jobs and those hiring for them. It’s easier than ever for recruiters and hiring managers to find candidates who have specific niche skills or even sway candidates who might be currently employed and not actively job searching. Job seekers can not only create online profiles to attract recruiters and apply for jobs with one click, but they can even reach out directly to employers. With so many tools available to make the process less resource-intensive, candidates are generally the ones doing the “heavy lifting” in terms of making themselves known to recruiters. With setting up LinkedIn, Nexxt, Jobcase and other online accounts that allow them to actively reach out to employers, job seekers are trying to turn themselves into the “hand-picked” candidate. Years ago, it would have been unheard of to find company reviews and salary information when conducting an online job search. Now, according to “The Modern Job Seeker Report” from recruiter software company iCIMS, 92 percent of Americans turn to employer reviews when considering a new job. Plus, one-third of Americans (including 47 percent of millennials) has declined a job offer due to poor company reviews. Here in the Lehigh Valley, however, the trend of “seeing behind the walls of a company before you ever set foot in the door” isn’t always the norm for job candidates. LinkedIn has held the title of “the” go-to professional social network for 16 years now, and has shown no signs of its popularity or usefulness waning. 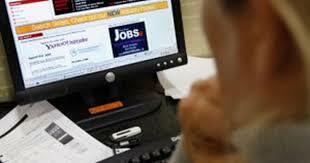 The site has played a major role in how candidates search for jobs and how recruiters find candidates. With a strong profile and the right connections, you can attract hiring managers and recruiters to the point that you’re literally bringing job opportunities right to your inbox. And with the networking and connections aspect, you can keep a close eye on potential job openings from past colleagues and other connections. There are other sites that have followed a similar model, such as Nexxt (formerly Beyond.com) and Jobcase, both of which give job seekers the opportunity to create a comprehensive profile to show off their most relevant information for recruiters. These sites allow you to list work preferences such as your willingness to relocate, preferred job location, salary range, personal traits, volunteer work and other career-appropriate information. While LinkedIn allows some of these more nuanced information categories, the advantage of the other sites is that they power more than 100 existing job-listing websites, meaning users have access to a wide range of employers and opportunities associated with these sites. Today, the norm is searching for a job while using a mobile device. There are countless job board apps and job search apps designed to quickly connect recruiters and hiring managers with job seekers. While mobile might make the process quicker, how does one stand out amongst all of the technological noise? Ready to tackle the online job search? Start here! This entry was posted in Allied Personnel Services, Career Advice, Job Search, Jobs on June 11, 2018 by aps.